We’ve got a new deal for you with a new kind of art award. It wouldn’t be an art award without a big prize to help support your future practice. We’ve got that covered with £3000 for the main award. It wouldn’t be an art award without the chance to exhibit in a final show. 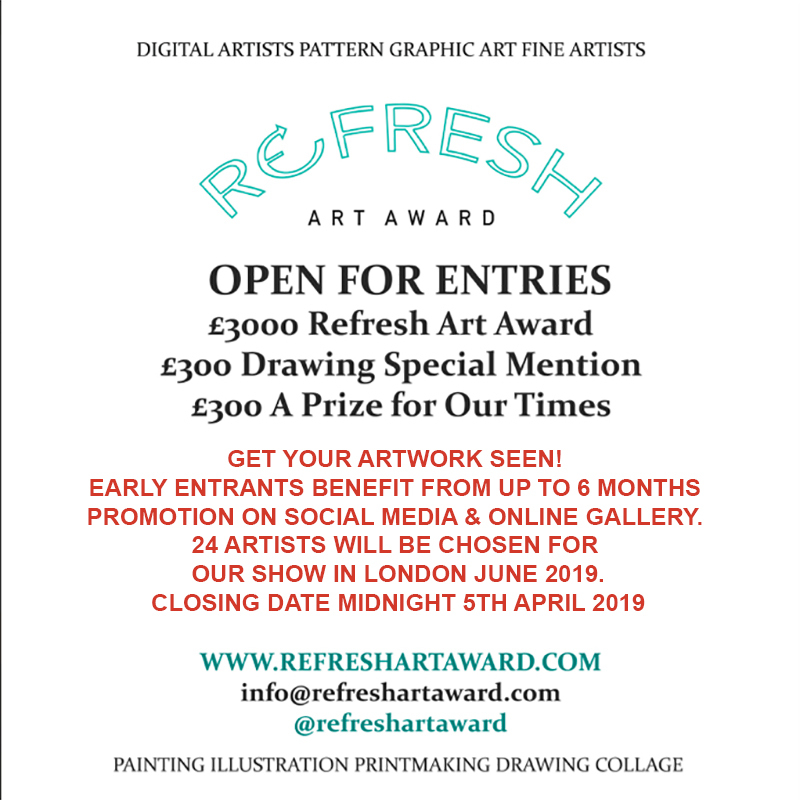 We’ve got that covered with our Refresh Art Award exhibition, showcasing our favourite 24 entries in June 2019 at the 5th Base Gallery in London. 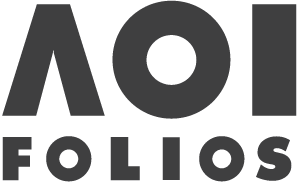 You’ll get a chance to sell your work online through us (if desired) and more importantly we’ll promote your work from the time you enter. So if you enter early, you might get up to 6 months of ad hoc advertising for your practice, art and website. We firmly believe that while not everyone who enters an award can get the top prize, you are still the face of contemporary art. If you’re making work then you represent today’s art world every bit as much as someone who is selling through a gallery, or has been selected for several prestigious prizes, or is written about in magazines, or has more cosy a relationship with the gatekeepers of the art world. While we have prizes and an exhibition for a lucky few, you are all the true picture of contemporary art. So we will do our best to represent you throughout the prize, and let people who see the work judge for themselves. The AOI cannot take responsibility for third party events or activities.